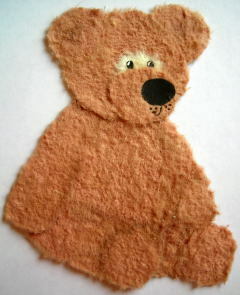 This tear bear was inspired by the traditional teddy bear. This tear bear actually looks like a stuffed teddy bear. This is my design and I made it just for fun! cute,thanks for the encouragement ! I use the ovals from a paw punch and highlight with a white gel pen. Thanks for your compliment. So sweet! How did you do the bears eyes? I love it? Join in and write your own page! It's easy to do. How? Simply click here to return to Your Tear Bears.